Dr. Cooperrider's decades of strength-based community commerce innovation created the blueprint for Venly's mobilization to help local businesses grow. 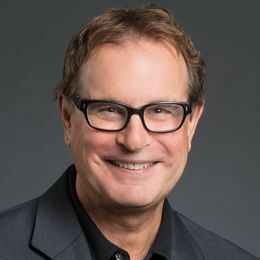 David is a Case Western Reserve University Distinguished University Professor and holds the Fairmount Santrol - David L. Cooperrider Professorship in Appreciative Inquiry at Case Western’s Weatherhead School of Management. At Weatherhead, he serves as the faculty Founder and Director of the Fowler Center for Business as an Agent of World Benefit. In addition to his industry work, David has published 25 books and authored over 100 articles and book chapters. He has also been the recipient of numerous awards and honors. In 2014 with the support from the family foundation of Green Mountain Coffee founder Robert Stiller, Champlain College created the David L. Cooperrider Center for Appreciative Inquiry at the Stiller School of Business. In 2017, David received the Organizational Development Network’s Lifetime Achievement Award—the highest honor from the largest international association in the field of organizational development.